Dancers Unite competed at the Hall of Fame Dance Challenge dance competition this past weekend in Uptown Charlotte, and came back to the studio with the highest dance studio award, the Studio Achievement Award! Hall of Fame Dance Challenge awarded Dancers Unite with the Studio Achievement Award due to our outstanding dance group performances as well as our dedication to the art of dance. 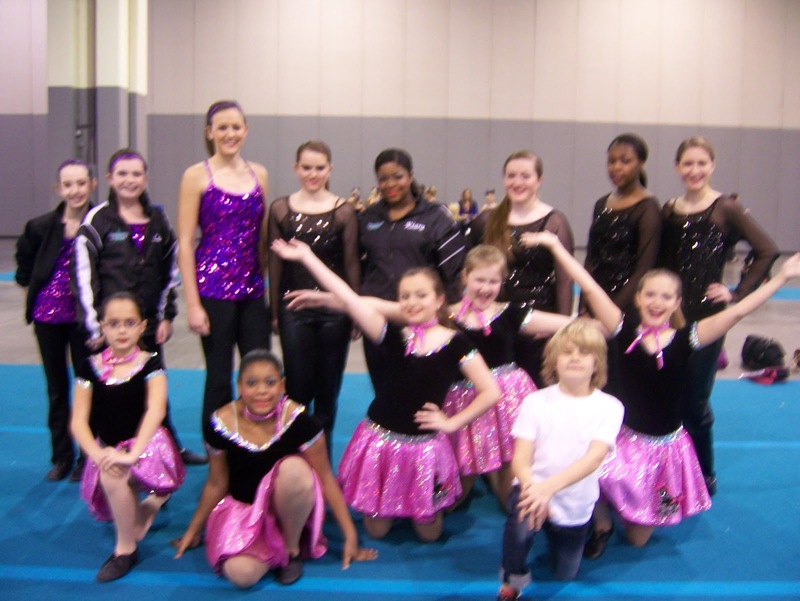 Dancers Unite had groups compete in the styles of jazz, lyrical, hip hop, acro and tap. We are very excited to win an award as the entire dance studio because we truly believe in Dancers Uniting – and love to see our dance studio win or lose as a team! In addition to the award for the entire dance studio, Dancers Unite won numerous first place awards and special awards. Also, two of our dancers, Allie & Hannah, were chosen to be part of Hall of Fame’s All Star Team, which means that they along with dancers from all over America will be able to perform a routine at Hall of Fame Nationals at either Las Vegas, Nevada, Orlando, Florida, Sandusky, Ohio or Virginia Beach, Virginia. Congratulations to all of Dancers Unite guys and girls who compete! For more information on how to become a part of Dancers Unite’s Competition Company, please see our Dance Competition Page.